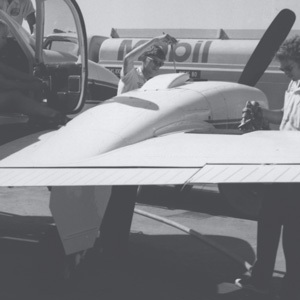 Duncan Aviation began providing aircraft fuel services in 1963, when the company opened a state-of-the-art facility at the then-new general aviation side of the Lincoln Municipal Airport in Nebraska. Aircraft at the time couldn’t make coast-to-coast trips without stopping to refuel and customers expressed to Duncan Aviation team members that they wanted fast service that would allow them to get back in the air quickly. Duncan Aviation soon became well-known for the Duncan Quick Turn, which promised a fuel stop in 10 minutes or less. 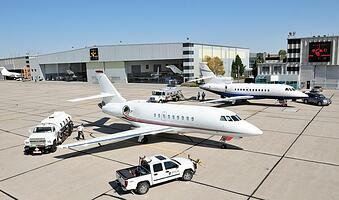 Bob McCammon, now an Aircraft Sales Representative, has been with Duncan Aviation since 1968. He spent several years in the early 1970s as the Line Service Manager. He remembers the early Duncan Quick Turns well. Duncan Aviation still offers Quick Turn fuel service at all of its main FBO locations (Battle Creek, Michigan; Kalamazoo, Michigan; and Lincoln) along with many other amenities and access to nose-to-tail support services. Our line crews are known for quick and convenient line service and our front desk personnel are known for hospitality. Repeat customers are greeted by name and new visitors are welcomed and shown the services they can expect: office space, conference rooms, pilot lounges, advanced weather planning, and café service, to name just a few. See a full list of FBO amenities here. If you are attending the NBAA Schedulers and Dispatchers show January 19-22 in Tampa, Florida, this week, stop by Booth #1219 to talk with our Line Service team members to hear about how we have met needed FBO Services for customers for decades. Lori Johnson has been the Marketing Communications Manager for Duncan Aviation for more than 20 years. She enjoys working with the smart and passionate aviation experts at Duncan Aviation, helping them connect with and educate customers about important industry topics.